North Carolina's 9th district congressional race has remained uncertified amid allegations of election irregularities and fraud - in particular surrounding the practice of "harvesting" absentee ballots by which people are paid to go door-to-door and collect uncast votes - an illegal practice in the state. According to NBC, state investigators have been probing election board records in several counties to determine whether there was an organized effort to canvas neighborhoods and collect thousands of absentee ballots - and then not turn them over to election officials. In particular, a firm hired by GOP candidate Mark Harris employed a felon and known politico, McCrae Dowless, who allegedly worked with a team of family members to "harvest" ballots in Harris's race against Democrat Dan McCready. On Wednesday, the Charlotte Observer's editorial board called for a new state election, while top state Democrat on the House Oversight Committee demanded an investigation. "If they can show with certainty that the outcome could not have been changed, they need to certify Mr. Harris and continue to support all state and federal criminal investigations," said North Carolina GOP executive director Dallas Woodhouse in a Thursday statement, adding "If they can show a substantial likelihood it could have changed the race, then we fully would support a new election." Voters, meanwhile, have been offering personal accounts of how they were tricked into giving up their ballots. In another case, a blonde woman appeared at 87-year-old Emma Shipman's door in the city of Tar Heel - encouraging her to turn in her absentee ballot. Shipman said she wouldn't give it to the woman. Under North Carolina law, the only people who can legally deliver an absentee ballot are the voter, a relative, or a postal delivery person (USPS, FedEx or UPS). The North Carolina Board of Elections is set to hold an evidentiary hearing on or before December 21 to determine whether irregularities or fraudulent activities were a factor in a "sufficient number of votes" to have changed or tainted the outcome of the election. At question are 14,056 absentee ballots collected by voters across the 9th district. The woman connected to the two ballot harvesting incidents has been identified as Lisa Britt, who has in turn been connected to McCrae Dowless - a felon and politico convicted of perjury and fraud in the early 1990s. 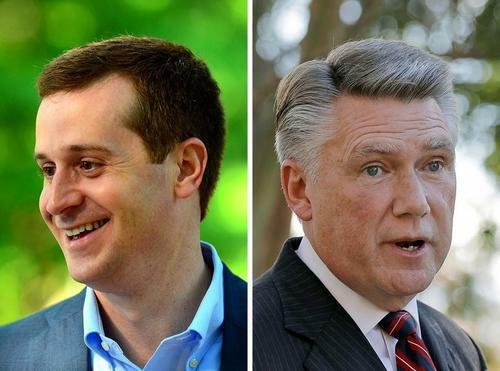 Dowless - known for get-out-the-vote campaigns revolving around absentee ballots, was hired by a firm working for Republican candidate Mark Harris against Democrat Dan McCready, and was rumored to be in line for a $40,000 bonus if Harris won the election. As we detailed on Tuesday, a woman told local news outlet WSOC that Dowless paid her to collect ballots, which she says he never told her was illegal. One of the publicly released documents, an “office record”maintained by the Bladen County Board of Elections, shows that Dowless himself turned in 590 absentee ballot request forms between late August and early October. According to an NBC News investigation, documents obtained from an attorney working with Democrats indicate that Jessica Dowless and at least six other people were signed witnesses to over 150 absentee ballot applications. Sandra Dowless - the mother of Lisa Britt (the blonde ballot-harvesting woman) also signed applications along with others. When NBC News contacted Sandra Dowless, she "had nothing to say," while the network was unable to reach the others.